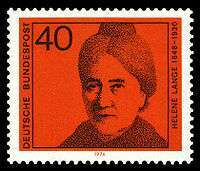 The German Democratic Party (German: Deutsche Demokratische Partei, DDP) was founded in November 1918 by leaders of the former Progressive People's Party (Fortschrittliche Volkspartei), left members of the National Liberal Party (Nationalliberale Partei), and a new group calling themselves the Democrats. In 1930 the party changed to the Deutsche Staatspartei (DStP). The Democrats were a more left-wing or social liberal party, whereas the German People's Party was right-wing liberal. Many of the leading figures in the party had been supporters of Imperial Germany's aim of Weltpolitik and Mitteleuropa . Along with the Social Democrats and the Centre Party, the Democratic party was most committed to maintaining a democratic, republican form of government. Its social basis were middle class entrepreneurs, civil servants, teachers, scientists and craftsmen. It considered itself also a devotedly national party and opposed the Treaty of Versailles but emphasized on the other hand the need for international collaboration and the protection of ethnic minorities. The party was the one voted for by most Jews. The party was attacked by some for being a party of Jews and professors. The party's first leader was Protestant parish priest Friedrich Naumann, who was popular and influential but failed with his Nationalsozialer Verein ten years earlier to link progressive intellectuals with the worker's class. He died early in 1919. 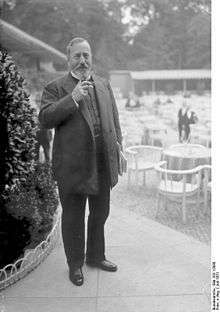 Other well-known politicians of the DDP were Hugo Preuß, the main author of the Weimar constitution, and the eminent sociologist Max Weber. Hjalmar Schacht, president of the Reichsbank and one of the founders of the party, left the party in 1926 and became a supporter of Adolf Hitler. Nearly all German governments from 1918 to 1931 included ministers from the DDP, such as Walther Rathenau, Eugen Schiffer, Hugo Preuss, Kurt Riezler, Otto Gessler, Max Weber and Erich Koch-Weser. From their 18% share of the first elections under proportional representation in 1919, they dropped to for example 4.9% in 1928 and 1.0% in November 1932. The party merged with the more right-leaning Young German Order to form the German State Party in 1930. 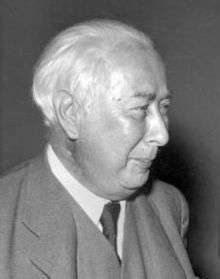 With Ludwig Quidde (Nobel Peace Prize winner of 1927) and others the party had a pacifist wing which left the Party in 1930 and founded the Radical Democratic Party, who represented radical democratic and more Left-wing policies. After 1945 former politicians of the DDP joined mainly the new Free Democratic Party (1945/1948), as did the liberals from the German People's Party. 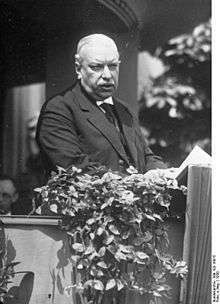 First Federal President Theodor Heuss, a journalist and professor in history, had been a German State Party deputy in 1933. In the Soviet occupation zone the liberal leader was former DDP minister Wilhelm Külz. Other DDP members went to the Christian Democrats, such as Ernst Lemmer, the former leader of the Young Democrats and Federal Minister in 1956-1965. ↑ Mommsen, Hans (1996). The Rise and Fall of Weimar Democracy. University of North Carolina Press. p. 58. ISBN 0-8078-2249-3. ↑ Van De Grift, Liesbeth (2012). Securing the Communist State: The Reconstruction of Coercive Institutions in the Soviet Zone of Germany and Romania, 1944-48. Lexington Books. p. 41. ISBN 978-0-7391-7178-3. ↑ Lash, Scott; Urry, John (1987). The End of Organized Capitalism. University of Wisconsin Press. p. 27. ISBN 0-7456-0068-9. 1 2 Kurlander, Eric (2006). The Price of Exclusion: Ethnicity, National Identity, and the Decline of German Liberalism, 1898–1933. Berghahn Books. p. 197. ISBN 1-8454-5069-8. ↑ Maier, Charles S. (1975). Recasting Bourgeois Europe: Stabilization in France, Germany and Italy in the Decade after World War I. Princeton University Press. p. 56. ISBN 0-691-05220-4. ↑ Lee, Stephen J. (1998). The Weimar Republic. Routledge. p. 23. ISBN 0-415-17178-4. ↑ Hugo Preuss (2008). Schwarz-Rot-Gold: Zum Nürnberger Parteitag (1920). Gesammelte Schriften – Vierter Band: Politik und Verfassung in der Weimarer Republik. Mohr Siebeck. p. 155. ↑ Baumgarten, Albert I. (17 March 2010). Elias Bickerman as a historian of the Jews : a twentieth century tale. Tübingen: Mohr Siebeck. p. 73. ISBN 9783161501715. Frye, Bruce B. (1963). "The German Democratic Party 1918–1930". Political Research Quarterly. 16 (1): 167–179. doi:10.1177/106591296301600112.